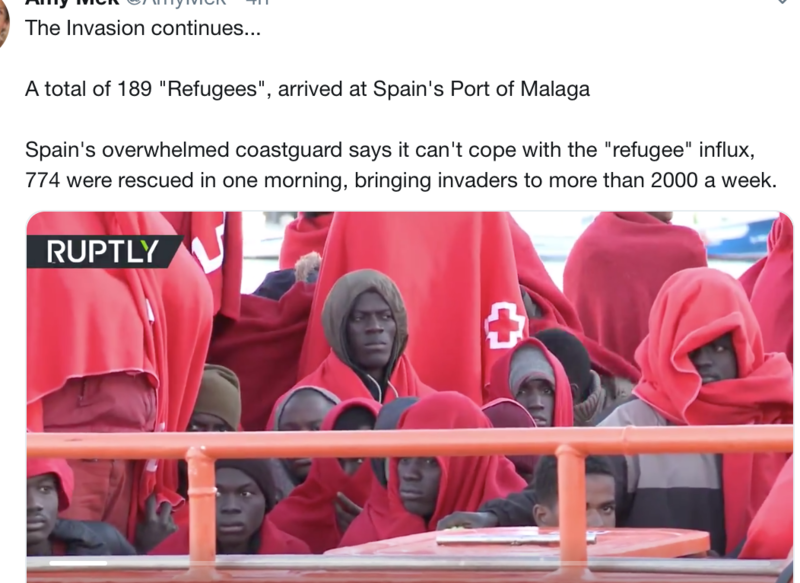 A total of 189 “Refugees”, arrived at Spain’s Port of Malaga Spain’s overwhelmed coastguard says it can’t cope with the “refugee” influx, 774 were rescued in one morning, bringing invaders to more than 2000 a week. Almost 550 migrants were “rescued” over the weekend by Spanish maritime rescue services. The immigrants were traveling on eleven separate vessels in the Mediterranean east of the Strait of Gibraltar. In other migration news, Pope Francis called on the EU to welcome migrants carried by NGO vessels. Schwind himself had expected such a case much earlier. Amok rides like those in Bottrop and the attacks on refugee shelters in recent months are just the extreme tip of a more general development and he worries that this will continue. Professor Andreas Zick, a conflict and violence researcher, says that people from the middle of society are increasingly radicalised. People who previously had no connection to right-wing extremist ideology. The culprit had certainly been on the Internet before his amok ride and was infected by a movement that believes that the country is alienated and the policy proves a loss of control. “There is a growing mood in the population that speaks of national identity, resistance and control that you need to take back into your own hands. This self-empowerment of the citizens worries me very much,” he says.